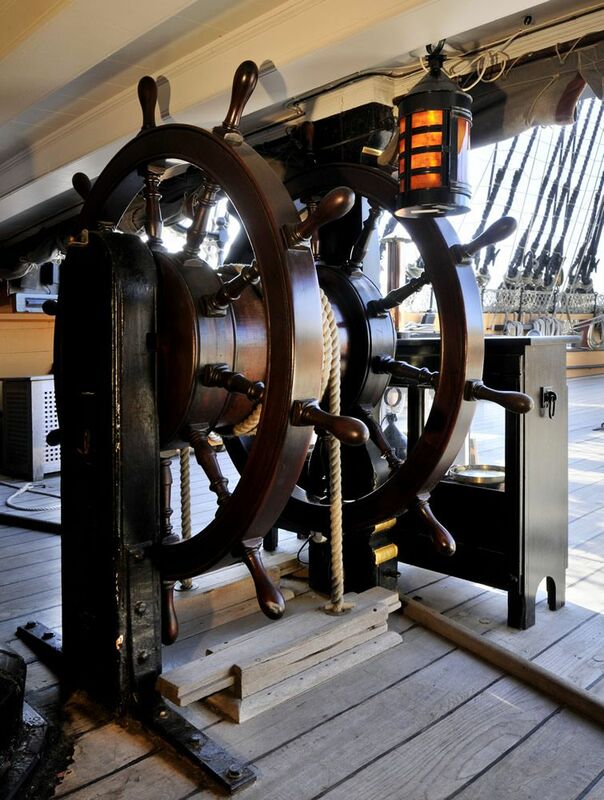 Close up view of HMS Victory's (launched 1765) wheel. The double wheel, used to steer the ship, needed 4 men to operate it during calm weather, but if the weather became rough anything up to 8 men would be required. This HMS Victory's Wheel Art Print is created using state of the art, industry leading Digital printers. The result - a stunning reproduction at an affordable price.